Looks like a great recipe! Do you sterilize the jars? 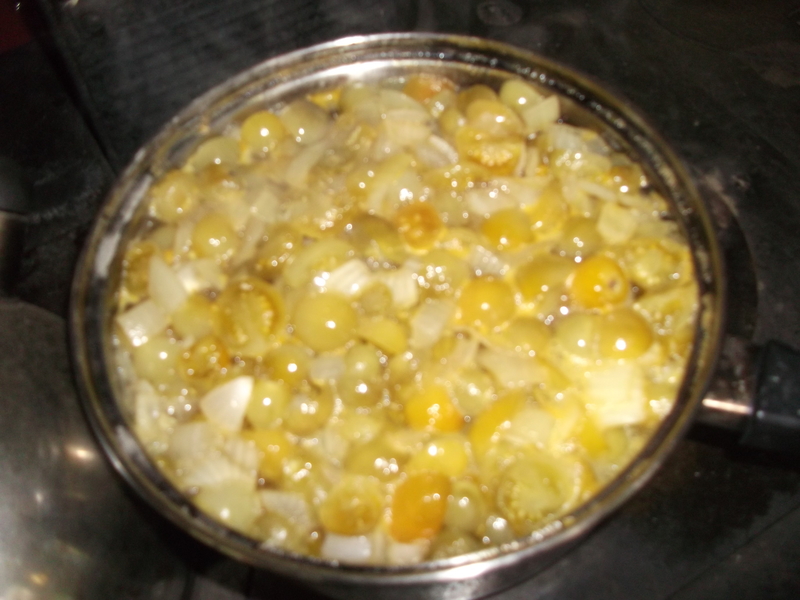 Everyone I know who preserves is particular about boiling the jars before and after packing, using only Mason jars, etc. But I have some recipes that are older, or traditional pickling recipes, in which sterility isn’t considered to be an issue. 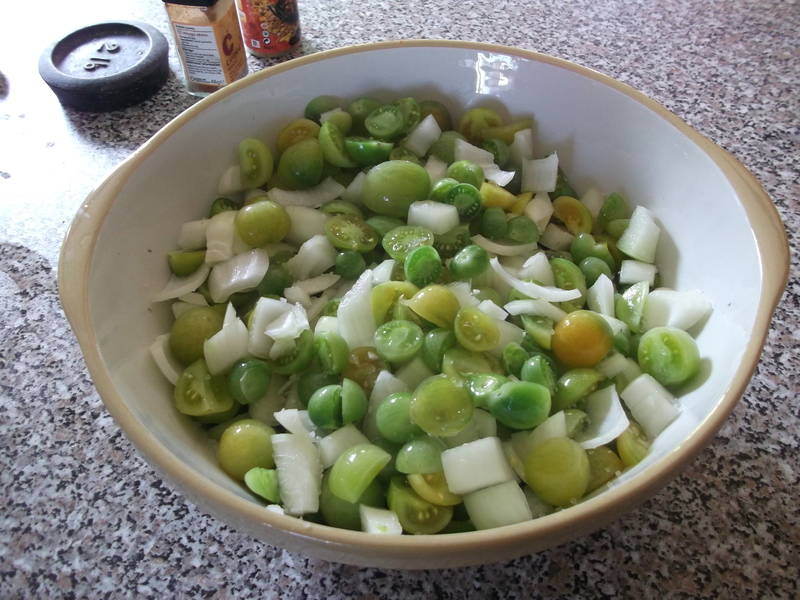 We just had a big freeze, so I might hunt around and see if anyone needs to get rid of some green tomatoes . . .
Hi, all of the jars are washed in very hot water before hand but when they come out of the oven they are so hot you can’t touch them and the liquid is bubbling and so this is in effect a form of sterilisation.Once you tighten the lid it seals it to become airtight, (you can actually hear them pop, sucking the air out) Also, the garlic that’s put in is an anti-bacterial so this also helps. Thank you.The oven method is very successful we find. 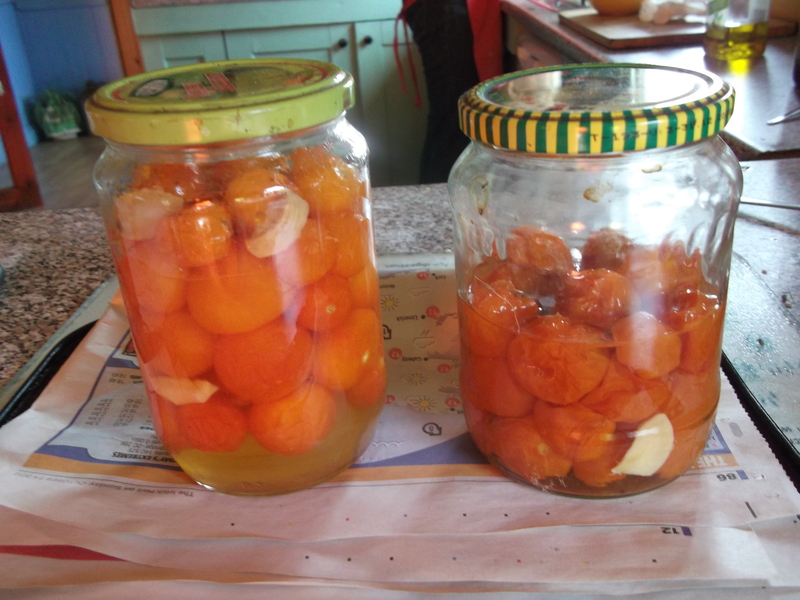 We find that preserving produce is the way and my Grandad and Grandma were preserving this way and Grandad is now 85. Great stuff guys! Fab recipes. I’m gonna try the one for preserving the Cherry Tomatoes. Love Love this post from Willowarchway on preserving, especially the recipe for doing the cherry toms. I’ve resisted canning, but this sounds so simple…will the oven method work with non-acidic produce like eggplant? What temp is a “cool oven”? I definitely need to make my own stir-fry sauce. Great post; found it through Bridget. Hi, we’ve only just started to preserve our produce and have only tried toms in this way. We’re not sure about other veg yet but we are going to preserve some pumpkin today as this is a ‘watery’ type fruit and so will break down like tomatoes ( i hope). What is a ‘cool’ oven, good question. I would say Gas mark 2,150C,300F, but all i can say is if it’s too hot it will burn and too cold it will take forever. Just keep an eye on it. Good luck. Nice post. 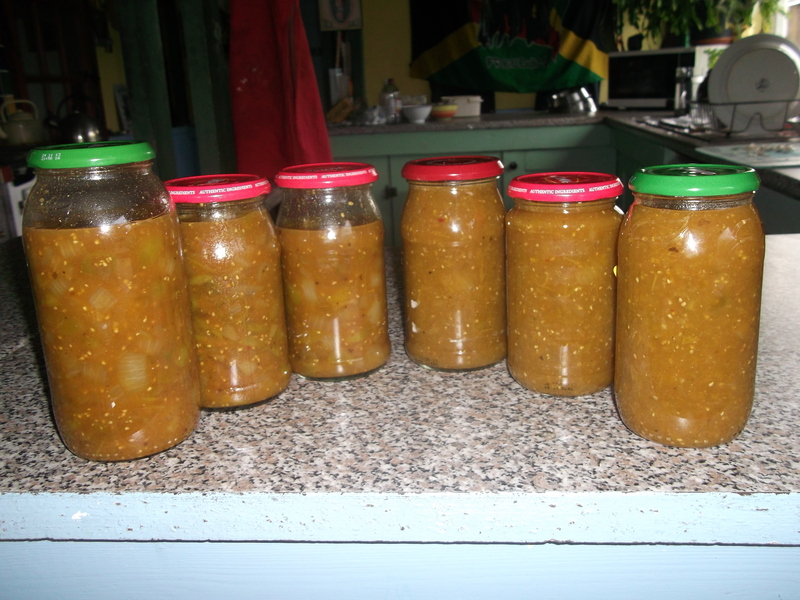 We have just made chutney using the same recipe. It is definitely a good one – very popular with friends and relatives we give some jars away to. In fact we are still using the last few jars from last year and it is still mighty good. Thanks for deciding to follow my blog, which i hope you enjoy. Excellent! Preserve your own so you can provide yourself with new foods to taste and SAVE money all at once! That’s the way we live, also! An interesting extra use for chutney. There’s a limit to how many cheese sandwiches one can consume in a year. I’m interested in the oven method of preserving the cherry toms, I’ll bookmark this page, thanks! Hi Robbie, cherry toms are our favourites and do try the preserving of them it’s so easy. We’ve grown yellow cherry toms but not the purple ones.